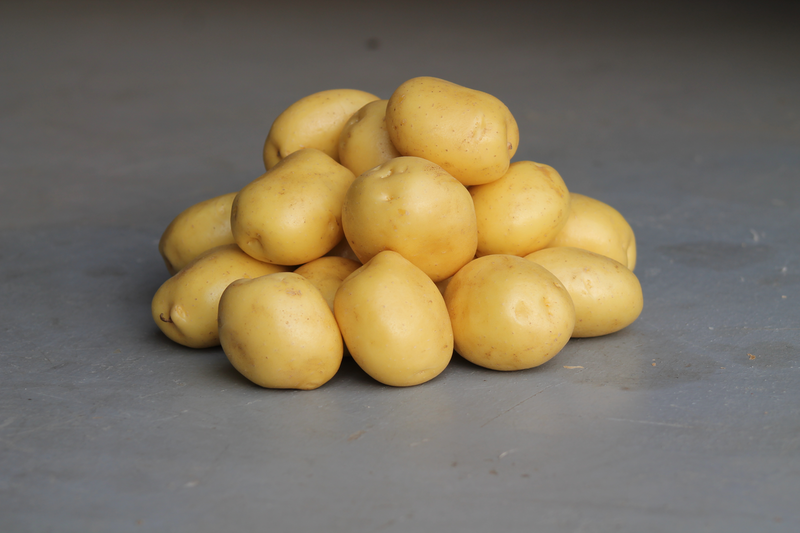 Constance is a yellow skinned, pale yellow fleshed table potato, suitable for general use. With early development after planting, this is a good early maincrop variety, with oval round tubers of regular shape and shallow eyes. It produces good sized tubers that are resistant to secondary growth, black spot and growth cracks. This variety is well suited on most soil types. With a medium dry matter of 20.2%, it eats well and retains its colour after peeling. It has a buttery taste and smooth texture making it ideal for mashing, boiling or baking. Regular nitrogen is acceptable; use higher amounts of phosphorus than normal. Vine killing - For best results , use 1/2 rate. Plants should be senescing. For best results for skin set/ skin finish, harvest 3 weeks after vine kill.